Yes I realize that the mere presence of this on list which will inevitably miss some important life altering weaponry for the majority of gamers may cause a few jeers… for many the Duck Hunt gun was one of the coolest controllers…er… weapons to hit our living rooms. The zapper provided hours of fun shooting at not only ducks but clay pigeons, title screens and annoying siblings all over living rooms everywhere! Gordon’s arm holding this iconic weapon is an image that can be thought of fondly. From bashing open crates to clearing debris to bludgeoning enemies in close range combat; the crowbar is not the most elegant or sophisticated of weapons but dammit, it got the job done and without it what would you and Gordon have been able to achieve? The Half Life crowbar, for these reasons, remains a steadfast symbol of survival. 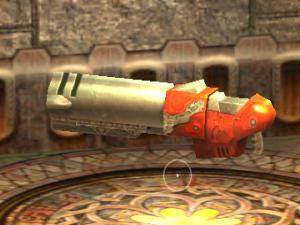 The Shrink Ray Gun from Duke Nukem is one fabulous , effective weapon that creates absolutely zero damage. The ability to reduce your enemies to inches and then automatically trample them when near enough, is astoundingly fun. Just be sure to run like the wind once shrunken yourself, and plot your revenge while you wait for the effects to wear off. 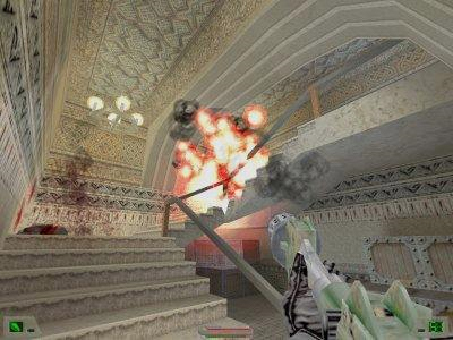 Soldier of Fortune brought gore to a controversy creating level. Being scrutinized heavily by both Canada and Germany for its violent content the game gave us many weapons to love. 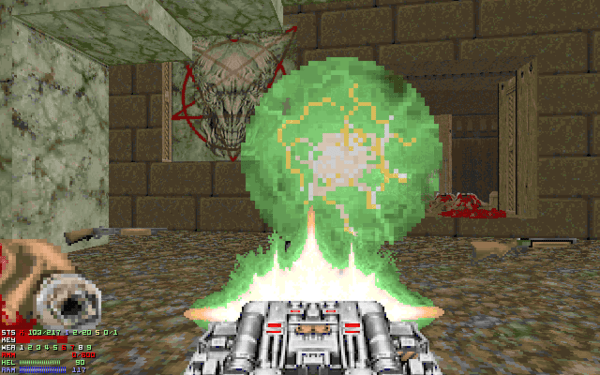 The ability to ‘remove’ appendages from enemies with carefully skilled shots coupled with goreiffic consequences made this game prime picking for all time weaponry. Despite the weapons of great technology and precision, the Flame Gun is one heck of a fun way for creating a lot of damage very quickly! From the original begrudgingly created Metal Gear to Metal Gear REX, The ultimate wearing nuclear weapon is oft overlooked. Creating so much controversy among its creators, owners, and obtainers, this game weapon has me squeal with delight after all the anguish and overly complicated plot twists it takes to finally reach this ominous example of game weaponry. No matter the game there is always room for chainsaw killing action. First winning my heart in Doom, and continuing the bloody love affair in Resident Evil and all that is in between, the chainsaw is a big disgusting mess of destruction. Guaranteed not to be clean a clean killing weapon; watching the splitter splatter of enemies’ innards is bound to create that big goofy grin, or sly smirk as only a chainsaw can do. The sheer ability that the rocket launcher in Quake gives you is delightful. in multiplayer death matches the rocket launcher is undisputable. 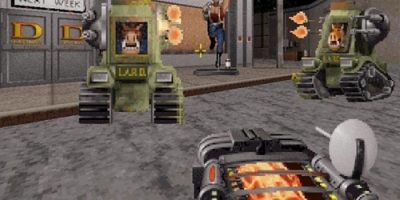 If you aren’t sure why Quake’s rocket launcher can put a big goofy grin of weaponry destruction upon a gamer’s face then you have neither hit with or been hit by one of these deadly weapons. I urge you to rectify this handicap post haste! This weapon is a bayonet chainsaw and assault riffle and has become synonymous with the game. Whether releasing approximately 15 rounds per second into your enemies or tearing them to shreds during melee combat is your thing, the Lancer is for you! Hold down that B button and hear that thing rev up. Mmm. Though tricky with it’s POV use, the Redeemer is undoubtedly one of the most satisfying weapons to use well. The weapon is more effective at close range followed by a quick escape and though it may leave you vulnerable longer than desired you can not deny the wildly gratifying kill at the end of a challenging steer towards the ultimate demise of your enemy.